experiences. Historians can also promote the Veterans History Project through social media such as Facebook, emails and during meetings. The “Members Remember” history project continues this year. The objective of this project is to record the American Legion Auxiliary’s history through the eyes of its members. What a great way to learn about our history as told by members where we can learn a great deal more about who we are, what we do, and why it matters. Encourage your Juniors members to participate in the new History Patch and the Junior Book contest. 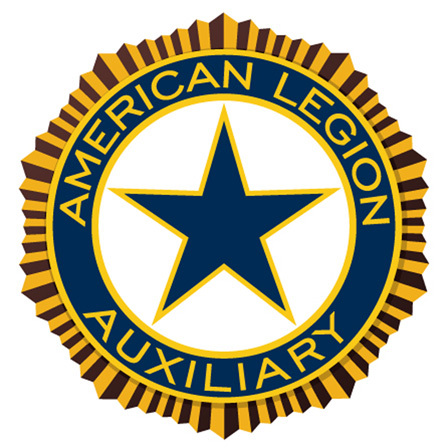 American Legion Auxiliary’s mission. All information should be sent to the National and Department Historians, as it is collected throughout the year, with a deadline of June 1, 2019. If President Deb visits your Unit, District or Division please send me a note about the visit. Be sure you follow all deadlines. Keep preserving our history!. Our theme for History this year will be “Preserve Our History One Activity at A Time”. One of the definitions of preserve is, keep something as it is specially to prevent it from decaying or being damaged or destroyed. Isn’t our Auxiliary’s history worth preserving? That is why it is so important to record all the events and highlights that your Units, Districts and Divisions are doing. If you have a visit with President Deb or something you would like captured in our Department History, please send me notes by email, snail mail or even a phone call will work. Unit Histories will be due to the Districts by June 5th. The Unit winners and the District Histories along with the Division Histories need to be submitted to me by June 12th. The National Programs Action Plan for Historians will not be made available until after our National Convention. When the information is available, I will have it posted to our website. 4. A Citation to any Unit, District or Division for submitting an electric history (e-mail, flash drive or CD). Awarded to Seniors. So, let’s grab those pens or laptops and get those histories written so that we can Preserve Our History One Activity at A Time.